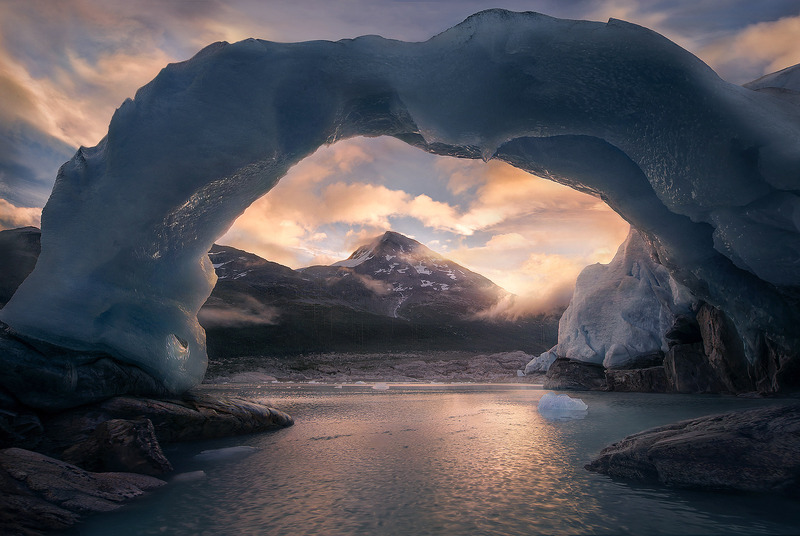 A 50ft-high, 50ft-wide arch made entirely out of Glacial Ice captured here at sunrise from a raft I used to float this lake while helicopter-backpacking the wilderness of these remote mountains. One of my favorite images I've ever made for the uniqueness of it. Photo © copyright by Marc Adamus.